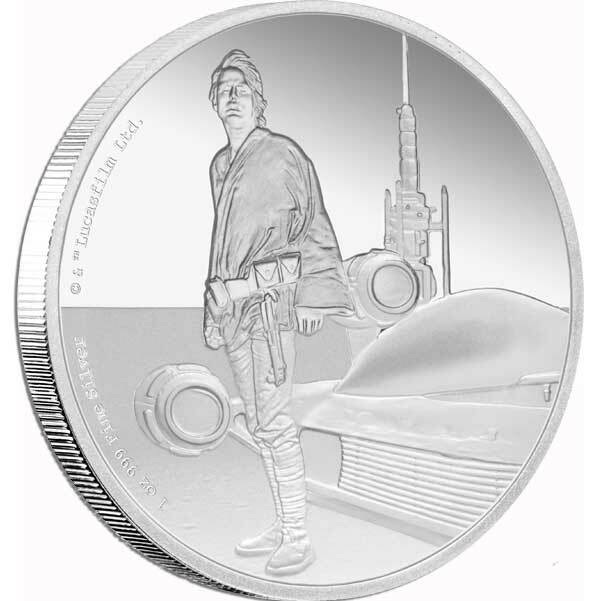 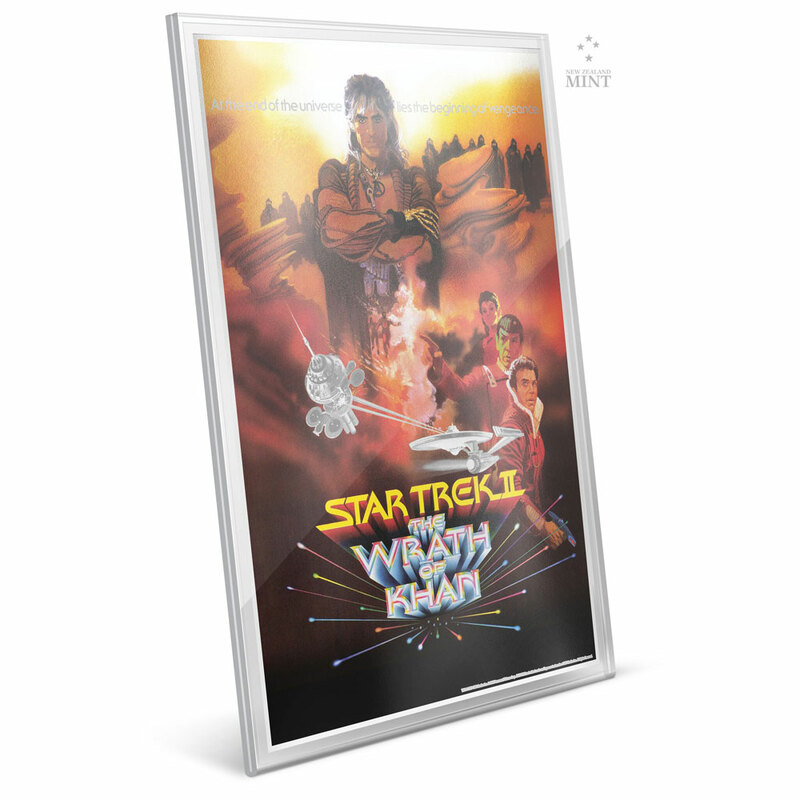 STAR TREK II: THE WRATH OF KHAN 2018 35g silver foil: This 35g pure silver foil celebrates the 1982 sequel film in the Star Trek franchise, Star Trek II: The Wrath of Khan. 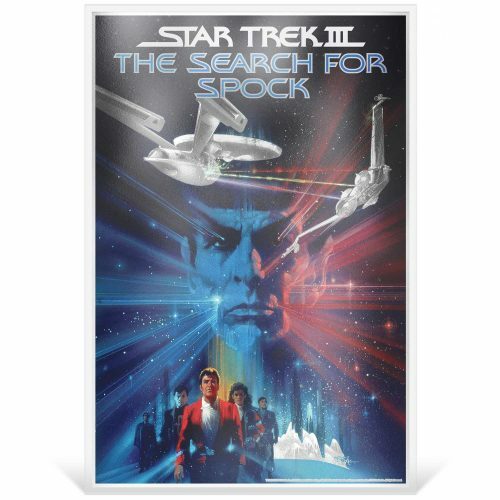 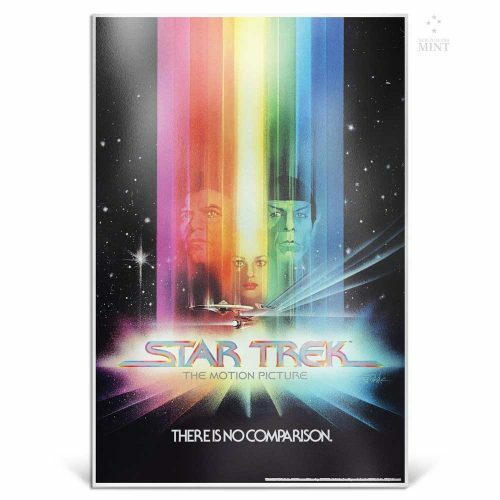 Licensed by CBS, this distinctive foil features a reproduction of the thrilling Star Trek II: The Wrath of Khan poster, which combines the use of both colour and engraving. 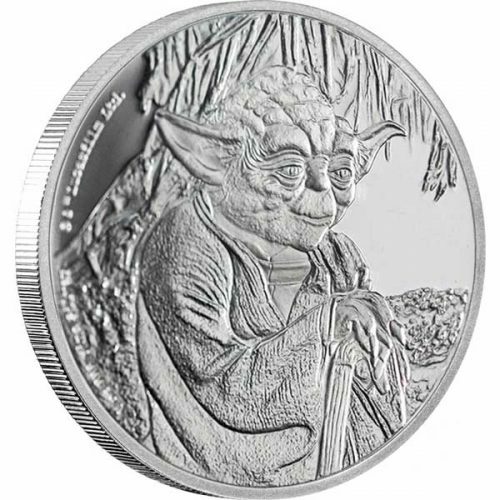 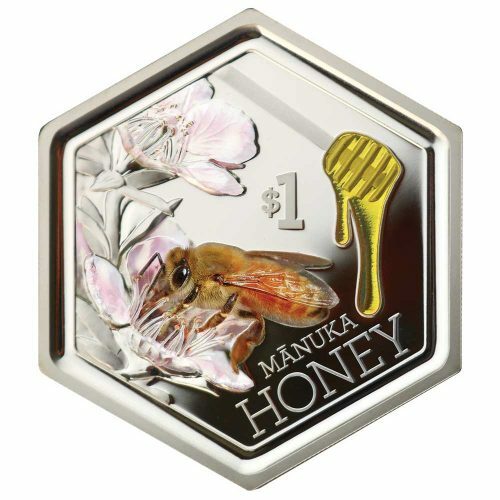 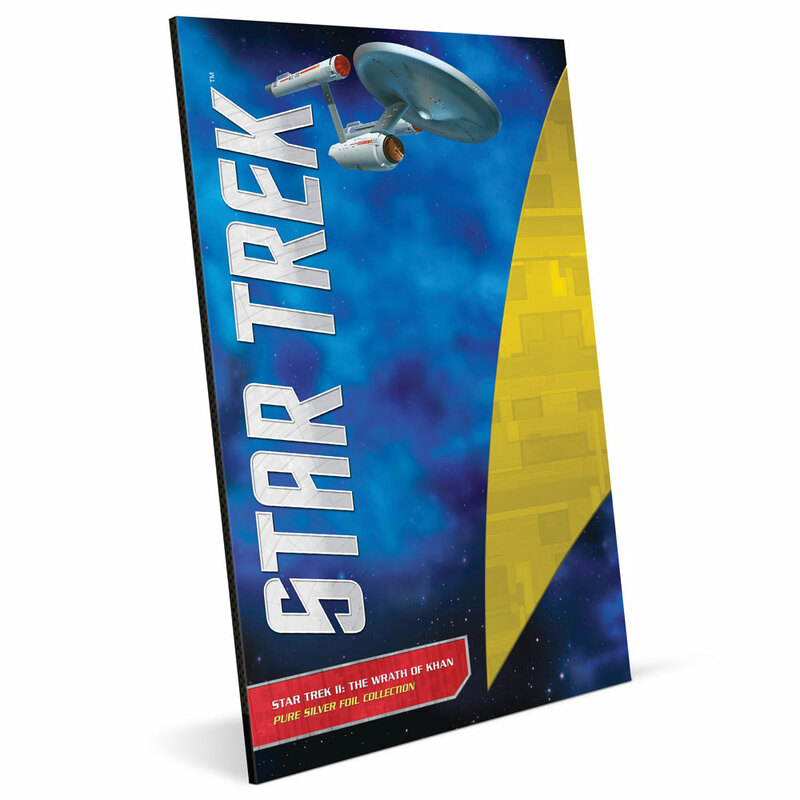 This fine silver collectible sits within a unique acrylic holder, which is packaged inside a complementary themed carrier, making it the ultimate gift for any Star Trek fan. 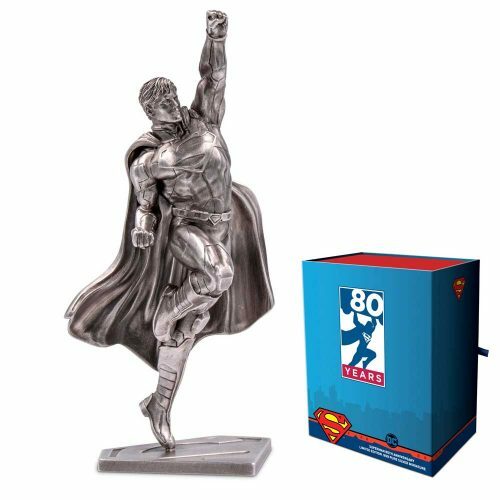 Be quick to order yours before they vanish. 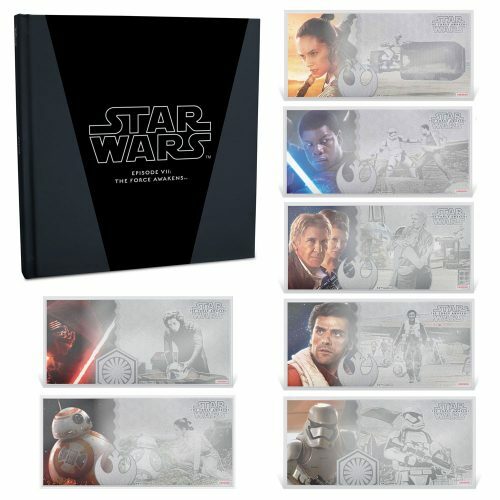 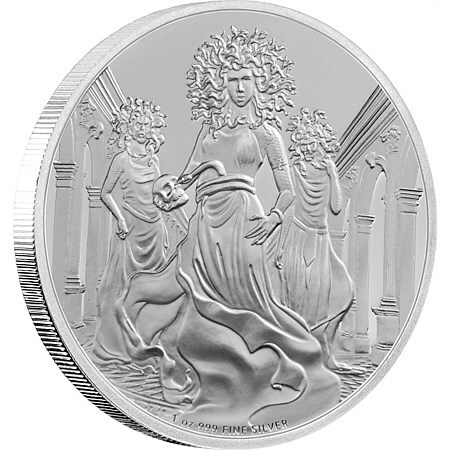 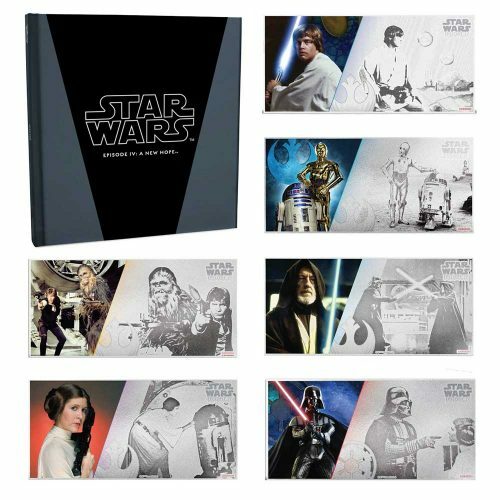 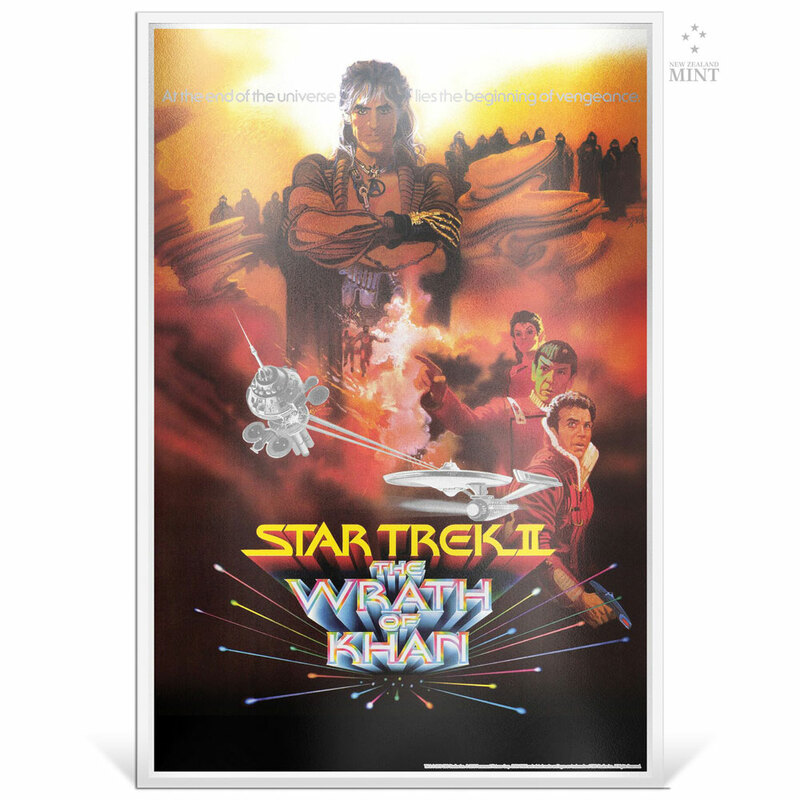 Pure silver foil features a replica of the Star Trek: The Wrath of Khan film poster.